Each wine we make is unique and different from the others. We follow traditional techniques in all processing processes. we work on continuous improvement. We are respectful towards the environment. Nos gusta compartir la magia del vino. A Mono-varietal wine made of Garnatxa Negra, without aging, versatile and easy to drink. Despite not having aging, it evolves very well during the 3-4 years following its bottling. Wine in which Garnatxa Negra predominates, of half aging, which gives it a certain structure and complexity. It is elaborated with the autochthonous varieties Garnatxa Negra and Carinyena, complemented with Cabernet Sauvignon. It is the wine to which we give aging in longer casks, which gives it more power and structure. 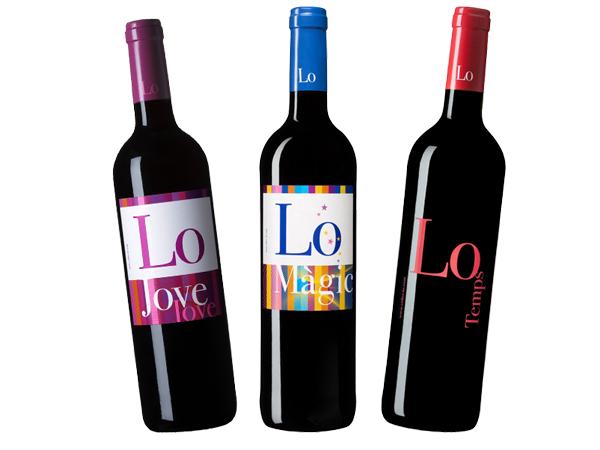 Would you like to have an exclusive wine just for you, with your own design, in the format and quantity that you want? Then you are reading on the right web. The fact of carrying out the whole process manually gives us the necessary flexibility to bottle and label items of any quantity, with no minimum. Get in touch with us, come see us, explain your idea and together we will develop an exclusive wine proposal: with the style, design, label, and the amount you want (with no minimum). You will taste our wines and we will explain you our project, our evolution, the winemaking methods, and the rest of the processes that take place in the elaboration.